FORMER Tory MP Neil Hamilton has claimed Gibraltar needs UKIP while he was on the Rock to launch their European elections campaign yesterday. Now UKIP deputy chairman, the self-proclaimed ‘Butlins redcoat to the nation’ told the Olive Press that they are the ‘only party in a position to take Gibraltar seriously’. 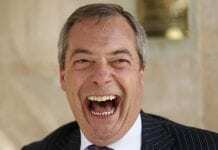 Gawain Towler will be standing for UKIP for the South West England and Gibraltar constituency in the European elections on May 22, and Nigel Farage’s party are openly confident. “Our view is that it will be much easier for us to defend Gibraltar outside the EU, we are free spirits” said Hamilton, whose sister has a house in Gibraltar and was married in the Rock’s cathedral. “We think that we need to be far more demonstrative in our support for Gibraltar’s territorial integrity and the interests of its residents. UKIP gained 1,000 members in 24 hours following the last TV debate in the UK, taking the ranks to more than 40,000. The party’s rise in publicity has coincided with the addition of Hamilton, well-known for his past in the Conservative party and the allegations he took bribes to raise questions in Parliament, to its ranks. Asked about border troubles, Towler explained his belief that the tensions would never relax while Spanish prime minister Mariano Rajoy’s PP Government is still in power. “If we were outside the EU we could close our borders to Spain and see how they like that, send back all the Spanish waiters,” said Hamilton. Pick up this Wednesday’s Olive Press for the full story. 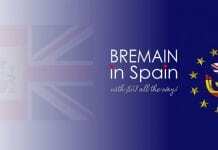 I don’t think UKIP needs a brown envelope man – perhaps he took lessons from the Spanish politicos. Yes Hamilton nice to see you learnt about diplomacy whilst trousering money during your time as an MP. Still you are i god company as Farage says he only goes to Brussels for the cash. Gibraltar can simply do without these politicians but as a democracy they are entitled to their point of view. After all, this is what freedom of speech is all about. El Fifi. Agreed – they are an opposite reincarnation of FurtherBeyond. UKIP seems to be Britain’s answer to the Tea Party. UKIP are standing for election to the European Parliament and if elected Mr Towler will represent Gibraltar so its reasonable for them to visit and explain what they can offer, probably not a lot. The BNP are not contesting the region this time, so the warm welcome they would have received for their leader suggesting Gibraltar should be Spanish will be reserved for the Greens who voted with the fascists to exclude Gibraltar from the ‘Open Skies’ agreement recently. How long does it take to get a Visa to enter Spain from a non-EU country ? Could be even longer than the current queues. Any one who helps us to get away from the gravy train EUUR are OK with me, never voted in my life, but I will vote UKip. Love it or hate it, opinion polls suggest that UKIP are going to get more votes in the European elections than any other party. If there was an EU referendum in the UK tomorrow, it would be an exit vote. Farage still refuses to tell me what would happen to UK ex pats living in the EU if Britain left, however to be fair neither will the Foreign and Commonwealth office. I suspect facing a freeze on pension increases and the withdrawal of other benefits such as reciprocal health care there will be a mass exodus of British pensioners from the EU and whatever government is in power at the time in the UK will wonder what the hell hit them, of course they will go on Question Time or the Sunday Politics and say we didn’t see this coming. Patrick: Perhaps, if people like you had participated in the electoral process in the past, there would never had been the opportunity for such a one-trick-pony as Farage. is there any other planet to go to? Not good form giving UKIP a voice here OP. Just look up about Neil Hamilton to read more about his racist escapades – hence UKIP! How ignorant to talk about blacks and whites. 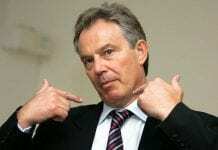 This is who you’re voting for if you vote UKIP!